How do I get help with using the application? For help with accessing and navigating a report or dashboard, users may contact the ITD Help Desk. 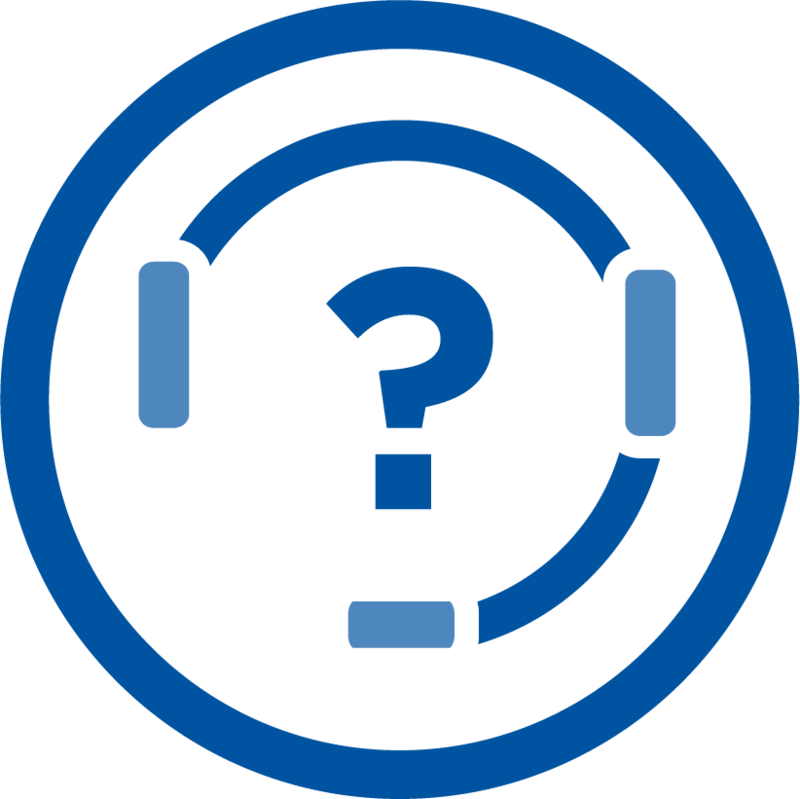 For questions about the content of a dashboard, contact the owner (which can be found in the back of the dashboard user manual). Download this job aid on how to request help with the application. How do I get access to Focus? If you cannot sign into Focus using your SSO username and password, please request access using EZ Access. Log into https://ezaccess.lausd.net and click LAUSD Employees. Then, click Focus Reporting & Dashboards to request access using the Focus Reporting & Dashboards application. Note: Your site administrator must provide approval using the Access Approval section. Follow-up requests regarding applications that have been submitted can be emailed to focus@lausd.net. I have access, but my role recently changed and I do not see the data that I need. What do I do? Unfortunately, you must re-apply for access via EZ Access. This is due to the fact that with a new role, you have a new supervisor and we must obtain approval from that individual for you to receive access to more data. Please see the above question, How do I get access to Focus, for instructions on how to submit an application via EZ Access. What are the benefits to Focus? Flexibility – Provides more flexibility in ad hoc reporting at LAUSD, now allowing users to create reports at the local district and LAUSD levels if they have access to that data. 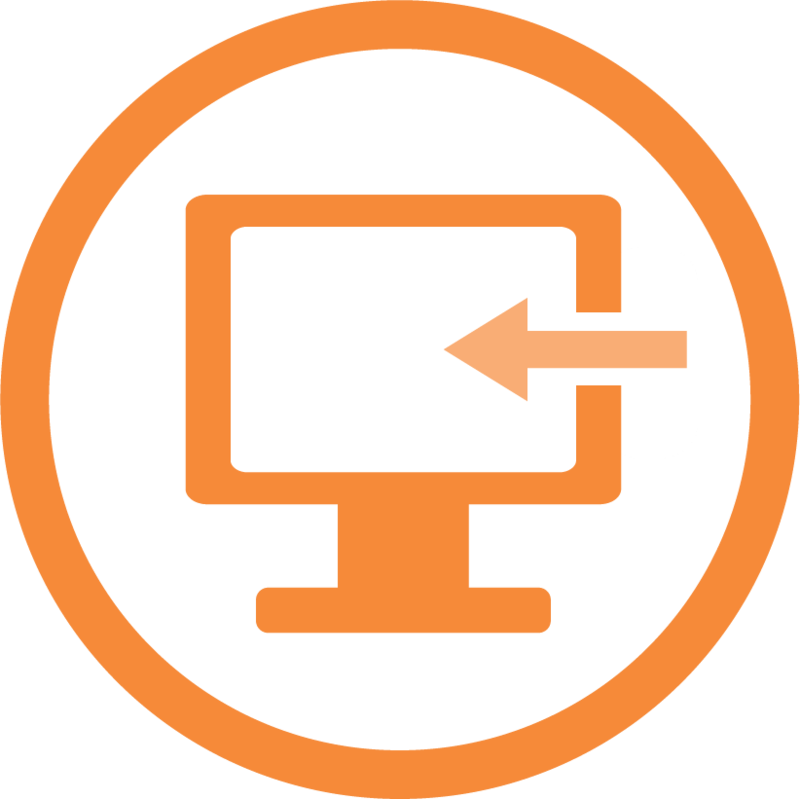 Self-Service Approach – Eliminates the need to request new reports to be created by IT – users can create and personalize their own reports. Dashboards – Provides dashboards for various types of users (administrators, central office staff, school officials, etc.) consisting of the information those users need to have to succeed. Historical Data – After integrating with MyData, will provide the ability to produce reports on historical student data, so users can look at information on a student’s previous enrollment and course history. Up-to-Date Data – Data will be updated nightly; some data, such as select attendance and scheduling data, will be available in real-time. How do I access Focus? Starting December 4, 2017, Focus is available via this URL: https://Focus.LAUSD.net. Focus includes job aids and videos that define the components of Focus and provide instruction on how to use the application’s features. To view job aids or videos within the application, go to the Job Aids and Videos section on the Welcome Page or any Subject Page (Note: job aids and videos on the Subject Pages pertain to the displayed Subject only). 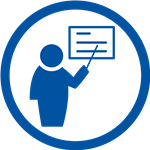 The Basic Ad Hoc Reporting Class, an instructor-led training class, is available for registration in MyPLN. This class provides instruction on how to create and manage reports using Focus Reporting and Dashboards, including how to perform basic calculations and create a basic pivot table. Focus Reporting & Dashboards is updated with software fixes and/or enhancements every two weeks on Friday nights. Browse the notes below to learn about all updates released since November 2016, or view the notes on the application's Welcome Page in What's New. Credit Recovery Report: The Credit Recovery Dashboard is now available to all users. To access the report, go to Instruction and then Graduation Progress, then select the Credit Recovery Tab. New SSPT Consolidated Report – The four SSPT reports have been consolidated into one report. This report provides the total count of SSPT requests and referrals by Local District, as well as SSPT referrals by student ethnicity and referral reason. To access the report, go to Summary, Monitoring Reports, then click on SSPT Consolidated Reports. NYE Incoming Students Report – This new report displays a list of incoming students and their future school and grade level. It also includes current demographic information, attendance rates, student testing data and programs. This report will display all incoming students even without current grades. This report can be accessed by going to Summary > Monitoring Reports > NYE Incoming Students. All Subject Areas Using Latest Test Scores Folder - The ELPAC scores in the Latest Test Scores folder have been updated to include columns for Listening, Reading and Writing. New Column: CA Science Field Tests - "Percent Points Earned" A new column has been added in the SBAC California Science Test By Enrollment Location, and California Science Test By Test Location Dashboard. “Percent Points Earned" column has been added between Category column and Lang Class column for both dashboards. To access the report, go to Summary and then Monitoring Reports. On the All Grade levels tab, click on the California Science Test By Enrollment Location or the California Science Test By Test Location. The new column displays in the California Science Test Detail report. Updates to Attendance Not Submitted Dashboard – New columns have been added to the drill-down reports on the Attendance Not Submitted Dashboard: Actual Attendance Submittal, Possible Attendance Submittal, and Attendance Submittal Percentage. To access the report, go to the Table View on the dashboard and then click a blue hyperlink. New Columns: Adjusted Attendance Summary Report – Days Not Enrolled, Days Excused (Full Day), Days UnExcused (Full Day), Days Uncleared, and Out of School Suspension Days columns have been added to the report and is now similar to the MiSiS Attendance Summary Report. To access the report, go to Summary and then Monitoring Reports, then select the Adjusted Attendance Summary Report. SBAC Science Subject Area: New CA Science Field Tests - "Percent Points Earned" A new column “Percent Points Earned” is available in the SBAC Science Subject Area. To access the column in the subject area, drill to the SBAC Science Folder and then SBAC Test Scores. Marks Secondary Subject Area - New Semester GPA Available – New columns have been added in Marks Secondary subject area under the GPA folder. Fall – 10 Week Midterm GPA, Fall – 20 Week Final GPA, Spring – 10 Week Midterm GPA and Spring – 20 Week Final GPA columns are now available. Attendance Daily Subject Area – 4 New Columns are now available under Daily Attendance>Attendance Data folder. Full Day Excused Indicator, Full Day Suspended Indicator, Full Day Uncleared Indicator, and Full Day Unexcused Indicator columns are now available. ELPAC Assessments now available in the Marks-Secondary subject area. To access the columns, drill to the Latest Test Scores folder and then the ELPAC Assessment folder. 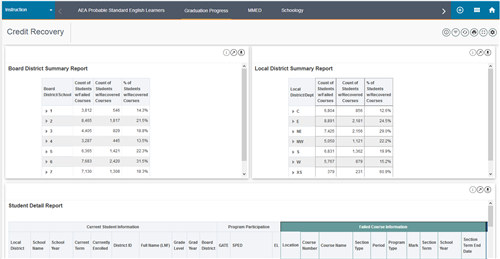 Available now, Focus Reporting & Dashboards (Focus) is a web-based reporting application that strengthens LAUSD’s reporting capability by integrating major systems used in the District. Focus consists of subject-specific dashboards, canned reports, and an ad hoc reporting capability. In addition to MiSiS, Focus consists of data from other systems used by LAUSD employees, like Welligent, Cafeteria Management System (CMS), and Adult Ed. During the 2018-2019 school year, new data and dashboards will be released periodically. 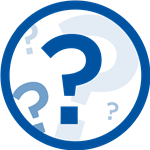 See the most common Frequently Asked Questions below, or go to the FAQs page for more information.